The concept of space, as given by Albert Einstein, constitutes a serious impediment to the understanding of this metrical dimension. The salient constituent of the Einstein “Theory of Relativity” is the Minkowski “Four-Space”. To quote Einstein “With out it the General Theory of Relativity, etc., would of perhaps got no farther than its long cloths,” “Relativity” by Albert Einstein, Institute for Advanced Study, Princeton, New Jersey. Minkowski proposed a fourth co-ordinate be compounded upon the three co-ordinate (cubic) set of Descartes, “Cartesian” third order space. Einstein here accordingly represents this fourth order space in “Gaussian” rather that “Cartesian” co-ordinates. This quadrature form implies four distinct time frames, however, Einstein ignores the versor positions, retaining only one, jct. Einstein – Minkowski represents this as an ill-conceived space versor. One over c square finds an origin in the work of James Clerk Maxwell, 1831 to 1879. Maxwell was a Scottish born natural philosopher. His work follows the trail of Ben Franklin and Michael Faraday, thru the mathematics of Newton – Liebnitz. Here arose the “Faraday – Maxwell” theory of electricity, the foundation of electrical understanding. But does anyone understand it? I think not. Maxwell, in his studies, had determined the existence of a distinct factor of proportionality, this factor expressing a ratio of mechanical force exerted upon physical matter thru dielectric actions, to mechanical force exerted upon physical matter thru magnetic actions. This of course relates directly to our principle question at hand for the quantum mechanics; the condition of equal and opposite forces between dielectricity and magnetism. No answer yet. All three of these relations are exactly related to the velocity of light. But here again is one over c square and actual velocity? Maxwell’s discovery of a factor of proportionality between dielectricity and magnetism led to his theory of conjugate pair of inductions, dielectric and magnetic, in union, propagating at the velocity of light thru the “Luminiferous Aether”. Hence, electro-magnetic waves in free space, unbounded by gross physical matter, mass free energy. This propagation is within the dielectric, or aetheric, medium itself. It is free of so-called “charge carriers” (electrons), a mass-less form of electricity. This concept had a very powerful impact upon the scientific and philosophical thoughts of Maxwell’s era. So here begins the notion of “wireless”, the transmission of electricity without wires or other guiding structures. Leading up to the work of Heinrich Hertz, 1857 to 1894, the wireless transmission of electricity had found experimental verification by Joseph Henry, and Elihu Thompson. It even was patented by M. Loomis. See “Secrets of Cold War Technology” by Jerry Vasillatos. These examples however were no electro-magnetic, they were electro-static (dielectric). Heinrich Hertz provided the first complete laboratory demonstration of the transmission of electricity thru “free space”, (across the room). This was instantly considered proof of the Maxwell theory of electro-magnetism, and electro-magnetic waves. When Nikola Tesla engaged in the experiments of Hertz, he found these waves not to be completely electro-magnetic. The early death of Hertz prevented any further progress. However “the world view” kept hold of its belief that “Hertzian” waves are only transverse E. M. waves, the two distinctions now synonymous. When Nikola Tesla undertook the development of his unique transmission transformers, he soon found the velocity of light had no relation here. 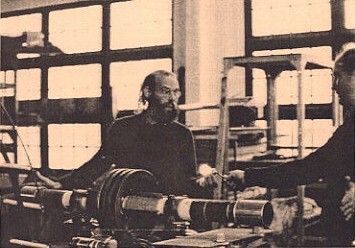 In his “Colorado Springs Notes” experiment and calculation demonstrate that the propagation on his “extra coil” tends toward 180 percent luminal velocity. See “Theory of Wireless Power”, by E. P. Dollard. It is found that the extra coil propagation is not even in the dimension of velocity at all. See “Transmission and Reception of Telluric Electric Waves”, by E. P. Dollard. The one over c square is not applicable to the efforts of Nikola Tesla. Tesla is not equal to one over c square. In the writings of J. J. Thompson it is found he considered dielectric propagation and magnetic propagation can be independent. Also considered is that the magnetism is a secondary response to dielectric forces. This is also found in the writings of C. P. Steinmentz, “Transients in Space”, page 394 to 419, from “Theory and Calculation of Transient Electric Phenomena”. Here considered is a “Hysteresis of the Aether”, given as an alternative to the concept of electromagnetic radiation. In this chapter the velocity of the dielectric induction and the velocity of magnetic induction are given as independent variables. The factor one over c squared is here only a dimensional transform between inductance and capacitance. See The International Tesla Society lecture on the “Hysteresis of the Aether” by E. P. Dollard. Here again one over c squared is only a proportionality factor, not a velocity. Finally, it has been disclosed by insiders within the space program, N.A.S.A., of a “certain complication”. It was found that when far outside the Earth’s field of influence the stars and sun are NOT VISIBLE! However, the Earth and the Moon are plainly visible. No direct light in outer space, only that made visible by gross physical matter. This gives rise to an important question, does the “light” from the sun propagate with a velocity at all, or is it simply a function of time. The “time delay” may be no more than a hysteresis of the luminiferous aether. It should be noted it is only by the time delay that we can consider velocity in many situations. Otherwise also needed is the wavelength. Is it the primary luminal induction, say from the Sun, a hysteresis in order to engender visible light on Earth? Now we are dug in deep! So, what meaning do we attribute to one over c square? It is a velocity, an index, a ratio, a proportionality factor, and even a constituent of the Farad. It is in everything, and now we hang Einstein’s Theory of Relativity on top of it all. Such is one over c square. In order to make a determination on this matter of one over c square it is instructive to enter the One Wing Parrot itself. We will take the position of Dorthey, who must conquer the Wicked Witch of the West, (WWW). Now she must stand, with her poodle and some unlikely friends from Lone Pine, before the great Wizard of Oz. Dorthey simply wants to go back to Kansas, and so do we. Here we must meet face to face with Einstein and the Theory of Relativity. In order to become better acquainted with the development of Relativity refer to E. Whittaker, “History of the Theories of the Aether”. Here follows only the salient features of Relativity as expressed by Albert Einstein. The primary purpose here is how Relativity relates to Electrical Engineering thru the concepts of Inductance and Capacitance. Einstein’s theory finds its seed in a certain speed of light dilemma and the related experiments of Fitzeau involving moving liquid dielectrics (10-C Oil). Consider a pair of red lasers in a setup like the cubic experiments given earlier. Two red lasers, side by side, distant from each other, again are utilized. Each individual beam is received by its own individual target. Here the measurements are made. One laser is stationary, the other laser is moving towards its target at 50 percent luminal velocity, c. It is of course found that the beam sent by the stationary laser arrives at its target with a lag in time (hysteresis) that co-responds to the delay involved in luminal propagation thru the span between the laser and its target. The moving laser beam also arrives at its target with a lag in time, but not that of 150 percent luminal velocity as given by the superposition of velocities. It arrives with the same delay as that due to luminal velocity thru the span between the laser and its target. Hence the law of superposition is now not applicable to luminal velocity, no matter what the velocity of the moving laser, the velocity of the beam is always c. This situation provides the cornerstone upon which lay the Einstein concept of Relativity. It is however that Einstein may have left out a few details. The stationary laser puts a red spot on its target. It is a red laser, just like the moving laser. They are both red, big deal. But wait Mr. Wizard, Look! Look! The spot on the moving laser’s target is GREEN! So, how are you going to explain to the cops that the light was green when it is in reality red? Will you tell them “its all relative”? They say “you were going too fast.” The light looks green because of the “Doppler Effect”. This is a situation where the wavelength of light shortens and the frequency increases, maintaining a constant velocity. The moving laser is traveling with a velocity 50 percent that of light, the wavelength shortens by the square root of 50 percent, the frequency increases by the square root of 50 percent. Hence red light is forced to become green light. The speed of this light is still luminal velocity, c.
(4) Velocity, or Space Per Time, in Centimeter Per Second. Thus the Doppler Effect shortens the wave length, and also shortens the time period, as given by the frequency. Because luminal velocity is the ratio of length to time, and both length and time both shorten in exact proportion to each other, the change cancels and the velocity remains a constant. In other words if the transmitting laser is in motion at a percent velocity of light, being 100 at luminal velocity, it is the length contracts by the square root of this percentage of luminal velocity, and the time period contracts by the square root of this percentage of luminal velocity. And obviously the product of a pair of square roots is the square of the square root, or the percentage of luminal velocity. Lambda times F gives c. This is a most fundamental law of radio engineering, where the constant c is 300 mega-cycle – meters per second. Relativity results from the following situation. Riding with the laser, it moving 50 percent luminal velocity, you see it as red. It has a red wavelength and a red frequency. The stationary observer sees it as green. It is a green wavelength and a green frequency. Relative to the stationary observer, you riding the moving laser see length as longer, (red vs. green), and time as slower, (red vs. green) Einstein’s Relativity tells us the stationary observer sees length as shorter, (green vs. red) and time as faster relative to the motional observer, (green vs. red). Experiment shows that the light beam changes in its dimensional relations, Einstein says the motional observer changes in it’s dimensional relations. What can we make of this discrepancy? The velocity at which light propagates, the luminal velocity, c, is a property of the dielectric itself, be it aether, or 10-C oil. This velocity has no relation to the motion of the transmitter itself, nor are its transmitted waves material projections. Nothing is “shot” out of the moving laser. The electric field can only “soak into the medium” at the rate defined by that medium. Light can only travel at luminal velocity as defined by the dielectric medium and its dimensional relation of one over c square, a numeric constant. Light is not a material projection, it is an inductive process, a process of the aether. Is it now Einstein is in basic conflict with the radio engineer? What would the F.C.C. say? Einstein is also in conflict with Ohms Law. It has been shown by Thornberg, a critic of relativity, in his paper, “Real, or Imaginary Space – Time” that electro-magnetic relations derived thru relativistic concepts are in conflict with Ohm’s Law. This is, dimensionally, canceling the per centimeter. This is Ohm’s Law. What are we to make of this, have we been duped? As seen thus far, the factor one over c squared looks as if it represents some kind of “Universal Virtue”, it finding a way into a multitude of dimensional relations. One over c square becomes a “Vestige of God,” transcendent from mortal scrutiny, except thru the prophet Einstein. It is a seed from which to spout a religion. Thru the effort of Albert Einstein luminal velocity and the “Theory of Relativity” has in a way engendered a spiritual foundation for “Today’s Society”. “Hey bro, its all relative, man, so*…”. To question Albert Einstein can even be considered “Anti-Semitic”, hence it will be enforced. * Now the Lawyer is a Priest! However, Einstein is a false prophet. The Theory of Relativity as the “Holy Scripture” is like a tele-evangelistic sales pitch. Nikola Tesla regarded Relativity as the greatest historical aberration of scientific thought. Relativity is no more than a philosophical standpoint, a virus to infect a “New Age”. From the standpoint of the electrical engineer Einstein’s Relativity is “Bravo-Sierra”! However, it has sunk its roots into the basic consideration of Inductance and Capacitance. L and C represent co-efficients of aetheric processes, and as such represent the aether, not Relativity. Albert Einstein stands in the way of Michael Faraday, and Pharisees are now Physicists. A basic theory of Relativity was put forth by Charles Proteus Steinmetz, the “Wizard of Schenectady”. His Relativity was for use by the electrical engineer. Hereby results a great simplification when calculating transient waves on electro-magnetic transmission lines. This theory finds development in his “Theory and Calculation of Transient Electric Phenomena and Oscillation,” the section “Transients in Space and Time”. Steinmetz refers to this as “Velocity Measure”. See his “Impulses, Waves and Discharges”, page 91 to 93. In complex transmission line calculation the exponential operators, as derived from the factors of the Heaviside Telegraph Equation, are expressed in both time dimensional and space dimensional relations, it is like apples and oranges, they are not additive thus cannot be combined directly into a single unified exponential operator. Analogous is the E.M.F., E, in Volts, a time derivative, and the dielectric gradient, d, in volts per centimeter, a space derivative. The two are not directly additive. These complications render the general solution for the Telegraph very complex, if not impossible. In fact as of yet no general solution has been developed at all! In order to overcome this problem, Steinmetz utilized the condition that one over c square is an intrinsic property of electro-magnetic transmission lines. This is to say, the ratio of the space factors is a constant, the velocity of light. The metrical dimensions of space and time are unified thru this constant, c, and the exponential operators are now directly additive. Hence, the space dimension of distance, in centimeters, has been replaced by the product of Luminal Velocity, c, in centimeters per second, and the Time, t, in seconds, or light – seconds, ct, in a manner like Minkowski. Space factors and time factors are rendered additive thru velocity measure. This methodology allowed Steinmetz to discover previously unknown transient waves on transmission systems. Here given is the Steinmetz Theory of Relativity, a basic, easy to understand engineering tool. Late in his life C. P. Steinmetz wrote an entire book on his view of a General Theory of Relativity. It should be noted that the Relativity of Steinmetz, and its velocity measure, is only useful in a Transverse Electro-magnetic situation. This is such in an E.M. transmission line as found in power and telephone work. Here all propagation is in terms of the factor one over c square. For situations involving transformer windings, or the networks utilized by the transmission systems of N. Tesla, E.F.W. Alexanderson, or even G. Marconi, this system of Relativity is not applicable. Propagation in these configurations cannot be represented by one over c square, nor any velocity at all. See the “Transmission and Reception of Telluric Electric Waves”, by E. P. Dollard. The mathematical work of C. P. Steinmetz follows a basic engineer’s path as originated by Oliver Heaviside. It also is primarily directed into the dimension of time, little is given on the dimension of space, other than in a relation involving a propagation velocity, or for the determination of inductance and capacitance. Steinmetz methods fall short when propagation in transformer windings are involved. Here one must turn to the later efforts of L. V. Bewly, in “Traveling Waves on Transmission Systems”. It is, in the transmission systems here discussed, the inductive fields of electricity are not involved in a motional metallic – dielectric geometry. That is to say, the inductors and the capacitors are stationary in space. However these have been given in a condition of relative motion internally, as with parameter variation. Here the inductive fields of induction are CLOSED within the metallic – dielectric geometry, which in its self is stationary in space. The theory of relativity as expressed by Einstein involves a condition where the inductors and capacitors, along with their magnetic and dielectric fields respectively, are forcibly moved about in space. Here the electric induction is made to move at a velocity other than that of its natural velocity. The writings of J. J. Thompson deal extensively with this condition but Einstein makes no reference to this important work. With Einstein’s Relativity the electricity is forced into a motion beyond its own force of movement. An example is a common bar magnet, engendering an extensive magnetic field of induction. When the magnet is at rest its magnetic lines of force exhibit only internal aetheric motions, outside this they are stationary. However, if this magnet is forced into motion, the magnetic lines of force react to this force of motion. This is a reactive force, much like the E.M.F. As with the E.M.F. or the brakes on a car, this reactive force only manifests during a change in velocity with respect to time. If the velocity remains constant the reactive force is zero. This is to say, if the magnet is moving at a uniform velocity, as well as its inductive field, no forces are developed. However, the energy consumed by this motional accelerative force upon the magnet is partly given to the momentum of the mass of the magnet and partly to a stored energy in the magnetic field. Now a condition exists where a magnetic field has an apparent mechanical momentum, just as does the physical mass of the magnet. Hence the total momentum is greater than if the body of the magnet was not magnetized. One may wrongly infer the physical body gains mass in proportion to the energy of momentum. In actuality, it is stored by the magnetic field of induction. The Einsteinian concept is that the magnet gets “heavier”, as the magnet moves faster, ignoring the electrical momentum. This is faulty reasoning from the standpoint of the Faraday – Thomson understanding of electric induction. It is considered that this inertial, or reactive force, gains a considerable magnitude, as well as the quantity of stored energy, this when the velocity of the magnet nears luminal velocity. If the motional velocity is equal to the luminal velocity, the magnitude of the line of force, and the quantity of the stored energy is infinite. Here represented is the so called “limiting velocity of the speed of light, the axiom of Einstein’s Theory of Relativity. The bar magnet is considered to “gain mass” in a certain proportion to the velocity of the magnet, becoming infinite at luminal velocity. Hence, nothing can go faster than light, or even as fast for that matter. Very simple idea, but founded upon a faulty inference when considered electrically. Oliver Heaviside wrote quite extensively on the subject of the motional electric field, but this is ignored. He may as well have not even written it. No wonder he painted his fingernails pink! One fact unmentioned here with regard to the relativistic theory is the bar magnet carries with it a magnetic field of induction, where as, in general physical mass does not. Is it then a limiting velocity condition for “un-charged” matter? Or is it all matter carries some amount of electric induction, which gives rise to a limiting velocity? To consider the gross physical mass as an increase with its physical velocity, ignoring the momentum of the electric field, seems absurd. Here lay the lack of watertight integrity in the Titanic of Einstein’s Relativity. See page 22 to 24, “Electricity and Matter”, J. J. Thompson, and “Occult Aether Physics”, by W. Lyne. It has been developed thus far the general meaning of the concept One Over c Squared. Hence a broader understanding of what is meant by the “speed of light” has been obtained. The factor, c, is best not considered a velocity, it is a proportionality ratio of time and space. By virtue of c being a ratio it is dimensionally equivalent to a velocity, but c should not be considered a velocity in and of itself. Also given has been that light should not be considered a material projection, it is not, light is not the “Cereal Shot From Guns”. It has a propagation of the medium itself. For a motional transmitter, the so called “Doppler Effect” maintains the energy balance, raising the frequency in proportion to the motional velocity of the transmitter. The wavelength accordingly gets shorter. Thus the luminal velocity of the transmitted wave is always c, a constant. The concept of “hysteresis, or velocity,” was touched upon. Finally, it was given thru the Faraday – Thompson concepts, that the mechanical momentum and the electrical momentum are two distinct forms of energy storage. This obviates any so called “Mass – Energy Equivalency,” no E equals mc squared. It is in reality, not relativity, the momentum of the electric field itself that grows asymptotically in magnitude when the physical velocity nears luminal velocity. These ideas are based upon the very foundation of Electrical Theory. This is shown in “Electricity and Matter”. Albert Einstein ignores these concepts in his Theory of Relativity, they just do not exist. This is given in “Occult Aether Physics”. Einstein has substituted a form of mysticism to replace logical reasoning, he is a mystic. “The Faraday tubes stretching thru the Aether cannot be regarded as entirely filling it. They are rather to be looked upon as discrete threads embedded in a continuous Aether, giving to the latter a fibrous structure; but if this is the case, then on this the view we have taken of a wave of light the wave itself must have a structure, and the front of the wave, instead of being, as it were, uniformly illuminated, will be represented by a series of bright specks corresponding to the places where the Faraday tubes cut the front.” Hence the Planck, Q. Here Thompson gives its size as that of a unit Faraday Tube, this being one Coulomb. So, how bit is a Planck? “Let us take the case of the Hydrogen atom for which n equals 1000, (n is the number of Faraday tubes, or electronic corpuscles), and take for a the value usually assumed in the kinetic theory of gases for the radius of the atom, i.e., 10 to the minus 8 centimeter. Then the energy is 1.02 time 10 to the plus 19 ergs; this amount of energy would be sufficient to lift a million tons thru a height exceeding one hundred yards.” Here J. J. Thompson gives not only a dimensional relation for Atomic Energy, but establishes the size of the Planck via the tubes of induction within the Hydrogen atom. Thompson gives 1000 corpuscles, we say one electron. Hereby given is a dielectric induction, psi, in Coulomb, of 1000 lines per electron. The Planck can now be quantified. How is it that Einstein ignores all of this information in his Theory of Relativity? These subjects are normally out of the realm of Electrical Engineering. In brief, the Galilean Transform affixes a point of reference in space from which to observe motions in that space. Nothing is attributed to space itself. Here derived is the concept that the Earth is not the center of the Universe, it only appears so when moving with the Earth. When the system of co-ordinates for observation is “Transformed” from those of the Earth to those of the Sun, the Sun now appears the center of the universe. This transformation process can be carried, stage by stage, until a co-ordinate system at universal rest is reached, the “Cosmic Ground”. Nikola Tesla achieved this thru electrical means. Einstein’s Relativity says this is not possible, no Cosmic Ground can be found. Everything is relative, and must be so. The Lorentz transform is then defined as one over gamma, and it is unity for zero motional velocity, and is infinite for a motional velocity of the speed of light. Hence the impedance to physical motion is infinite at a velocity of c, via relativistic reasoning. However is it that this is only valid for charged particles and not gross physical matter? Because the Lorentz transform is the square root of a hyperbolic function, it can be inferred here by the existence of another “so called Universe” where a particle cannot slow down to the speed of light. Hence a pair of conditions exist here. One group of particles cannot be accelerated up to the speed of light, and a conjugate group of particles cannot be de-accelerated down to the speed of light. Wow Mr. Wizard, Einstein never told us that! Minkowski space – time has already been discussed, but in review, Cartesian third order space is made Minkowski fourth order space by the addition of a fictitious co-ordinate, or length, derived as a light – second, ct. To be “cool” Minkowski affixes a versor operator, the square root of minus one, to this fictional length. Gaussian co-ordinates are utilized. Combining terms from the versor hyperbolic function of the Lorentz transform to the terms of the Minkowski four – space produces a resultant 16 co-ordinates, (or wrongly dimesions). Consider the versor operator on the fourth co-ordinate, or light – second, here exists four distinct “space – time continuums” in two quadrature time frames, all this with the velocity of light as a common pole. This has now become in-ordinatly overcomplicated, but thru the lawyer style skill of the Einsteinian Physicists all terms are erased that do not fit the chosen idea. It may be inferred that A. Einstein was not much of a mathematician, and by ignoring J. J. Thompson he was not much of a scientist. Not a mathematician, not a scientist, not an engineer, so just what was Albert Einstein anyway? He was a Mystic. It is that Maxwell has many interpreters, but where is Maxwell’s words? This is much like Christianity. Many religions, many churches, but no Jesus. Jesus is not a welcome guest in any church, nor is Maxwell. Here given is an intrinsic property of Human Society. It is written, it is invariably terminal, Jesus at age 33. In the advancement of electrical engineering theory C. P. Steinmetz dropped Maxwell all together. Hereby Steinmetz developed his important transformer equations, the very foundation of transformer theory. The first vestige of a theory on longitudinal electric waves is seen here. Steinmetz primarily directed his efforts to the metrical dimension of time, using ideas and terms finding their origin in Oliver Heaviside. The dimension of space is primarily treated only in terms of a velocity, that is, as space – time. In his development of the Faraday concepts and inductance & capacitance the dimension of space is considered on its own, but to a limited extent. It seems that we just simply cannot separate space from the velocity of light. I received Lamare’s package of material, very good to see the activity it has roused. I am not sure as to how the spherical antenna is made, nor the field patterns it engenders so I can offer no comment. Plenty of N.F.G. here in Lone Pine. Here N.F.G. for me was the Annenburg Foundation of Los Angeles. Useless Einsteiners. Same story, Oh yes I will help you, let me store your driveshaft, it will be fine. Then it all vanished. Duped again. Further, oriental mysticism blocks my writing on forum! I fail to understand why what I have shown repeatedly thru experiment and theory just seems to fly over everyone’s head. I use no more than high school science and math. The impediment can only be attributed to a pathological mysticism, or mental retardation. While the latter is intrinsic, the former is induced. Is it no surprise that the only man in Lone Pone who gets what I am saying is a truck driver, Bart. My Einstein series was initiated by him and is thus dedicated to him. The mystical experience is the force which moves one to science. It is transitory. The mysticism dissolves into Science and then bears fruit as Engineering. Mysticism, as defined in my writing, is not transitory. It is continuous and thus hates Science. Without a mystery the mystic is no longer the priest. This is a Platonic Epistemology. It is based upon Faith, not upon Reason. This is a necessity in Christianity, however in the majority of situations this Faith is based upon nebulous reasoning. With Lawyer like skill it’s factors change meaning depending upon their position in space, time, or “attitude”. Platonic reasoning is ultimately Totalitarian. See “Occult Science Dictatorship” by Lyne. This Platonic reasoning is next taken up by Einstein and formed into a Kabalistic-Existentialist view of physical reality, this in direct conflict with Nature’s Laws. Einstein is the image of an ultimate and infallible creature who should be regarded as a God. The i force society of today is the flower, me, my, I, and you, you’re a piece of ****! Here lay the foundation for the extinction of Science and Engineering in the U.S.A. Wow, Mr. Wizard, do they want to kill us? See the Commonweal – Michael – Lerner, Judaic – Buddistic Global Religion Philosophy. To say any more on Einstein would be, as Oliver said, “Slaying the slain.” Let dead dogs lay. However, to continue pandering, Bearden takes us right back to mysticism. But more so, he is a dis-informer making sure no one figures out Tesla. What would Israel say about “Tesla Weapons” in Iran? Or, would we want them in the hands of Israel? Then we have the Corum, K.L. and J.F. This is the P.E.E.E. Forget them, no Tesla knowledge exists here. And then A. Puharich (not real name). Remember at the “Last Supper” R. Josh Reynolds cut funding to A. Puharich, stating I had done more on Food Stamps than he had with millions of dollars. I am QRU on all this. In reality only I seem to be able to understand Tesla and I guess that should make me feel good, so that’s that. where k is a versor operator. Hence it is that c and 2πr are not interchangeable. Here is an important complication in the dimensional relations for Inductance and Capacitance. As for the factor pi over two in the Longitudinal Velocity, it represents an integration and is not an actual velocity, per-se. This pi over two also can result from improper derivation of the distributed constants for transmission structures. This is shown in the paper (I.R.E.) “Electrical Oscillations in Antennae and Induction Coils”, J. Miller, 1919. This represents the ratio of space, centimeter, to time, second. This is the ratio of counterspace, per centimeter, to time, seconds. The composite propagation constant hence is the superposition of the velocity, v, and the counter velocity, u. The two are not dimensionally additive so a versor and a dimensional transform of centimeter square is required. The T.E.M. wave is always along the axis of the metallic geometry, tangent to the metallic boundary. Such is given by the “Co-axial Cable”. Conversely, the L.M.D. wave is always perpendicular to the axis of the metallic geometry, normal to the metallic boundary. Such is given by the “Transformer Winding”. The resulting complex propagation of v and u is a spiral with a tilt angle from the metallic axes of the coiled winding. Where T.E.M. waves drag into the metallic (electron flow) the L.M.D. wave bypasses the metallic (no electron flow) hence no Ohmic resistance. The factor pi over two is the composite propagation for only a unique set of parameters. See “The Oscillating Coil” part of the “Theory of Wireless Power” E.P. Dollard. Note here that errors found a way into the tables, but the equations are right. Now why could not the Corum’s figure this out? Why is it they make no reference to any work on this by Blume, Bewely, Dollard, and etc? The Corums, Well? One very important fact that escapes notice (Meyl, et al) is that Tesla’s transmission networks are Mono-Polar. The dipolar concepts so dear to all now swirl down the toilet bowl (burp). Forget Bearden, Forget Meyl, it is crap for the crapper! Tesla circumvents the concept of plus and minus, there is one pole only, plus. Here is a true “Single Phase” Alternating Current, one wire only. This is a philosophically disruptive concept for the God vs. Devil duality. God has no opposite pole, it is one, positive only. This is the secret to the Tesla transmission concept. Action vs. Reaction now is voided. It is hereby seen that no circulation of flux lines is possible, hence the coil becomes “Longitudinally Transmissive.” Potential e and E.M.F. E exist in separate time frames. This relationship cannot be produced by a two wire (T.E.M. quarter wave line because here the laws of circuitation rule. It must be a single wire so configured as to allow propagation normal to the axis of the metallic boundary, (L.M.D.). Hereby enclosing the electrostatic terminal of a Tesla transmission system within a metallic sphere will fail to shield the radial dielectric lines of force, whereas a dipolar system within the metallic sphere cannot get out of this sphere except that leaking thru the transmission line entry opening. It is that simple, but no one gets it. Every one jumps back to Bearden, Corum, Meyl, and stays mystified, WHY? The transverse product of width and height is length. V is his vector product operator. Wave propagation is co-linear with this length squared. This axial “Antenna” must now be counter – spatial in form, that is, it must be subdivided. The apparent physical length here is now only an integrated resultant derived from the summation of counterspatial spans. A ruler with 16th inch spans has a physical length of one foot. Hereby it may be that a “Big Dish” is not the way to go for L.M.D. waves. However, by another line of reasoning, since we have no established Truths as of yet, consider “Electric Sound Waves” in the Aether. After all that is what Tesla said. See Thornberg’s work on “Maxwellian electric sound waves in the Aether”. So it is required to make an electrical analog to sound. Helmholtz works to cover this but Heaviside points out the math is no good. The P and S seismic wave analog looks good. What is needed is an alternative to Mu in Henry per centimeter and Epsilon in Farad per centimeter. In the L.M.D. theory it is not Mu nor Epsilon but per (Henry – cm) and per (Farad – cm). This is seen in the P & S wave papers sent to me by Lamare. Tesla praised Helmholtz but it may take another Oliver to make it work. Here a “Big Dish” may work. Finally, I put out on the “Heretical Builder” forum an Alexanderson “Antenna” for the 160 meter ham band. It is a scalar (space) wave guide structure and has no wavelength, hence “space scalar”. This network is scaled upon the 18.6 kilo-cycle version made for the Navy at station KET, Bolinas, California. A scale of 100 to 1 was selected hence 18.6 kc becomes 1860 kc, a ham frequency. This network produces a Longitudinal Dielectric form of propagation, with no magnetic component. Pure “Dielectric Waves” ala J.J. Thomson. Space scalar transmission may be possible between identical units in phase sync. A great ham radio project, but you will not find it in QST. But no one makes it, has Ham radio, once considered a National Technical Asset, now become a useless hobby of self denial? If so, the F.C.C. will no longer consider it valid and take steps to phase it out of existence by some “911 phantasy laws”. So do we run back to Bearden’s dipoles smashing electrons on the 405 freeway, back to Meyl’s Edmund Scientific Toys, and back to the Corum math masterbations upon the resonant coil, back to the feet of the one wing parrot? I hope not! Einstein and his theories can be expressed by an animal story: As understood thru his writing Relativity as a “package of ideas” is in many ways similar to the “egg of the coo-coo bird”. The coo-coo bird builds no nest of its own, it looks for the right next among those other birds. Here found it lays its egg in the selected next of another bird. Upon hatching its chick forces the others out of the nest, over the side. Such is the growth cycle of Relativity, as given by Einstein. (1) Proposition (A) is Electro-Dynamic Theory, Maxwell – Lorentz. (2) Proposition (B) is Relativistic Theory Einstein – Minkowski. (3) There are many experiments in favor of (A), or also in favor of (B). (4) These experiments “limit the theoretical possibilities” so that only (A) holds to the test of experience. Forces of another kind, you mean the dielectric lines of force, removed from obscurity by the Faraday – Thompson concept of induction? Every electron is a motional terminus of a quantity of dielectric lines of force, these lines contracting and stretching like rubber bands, giving motion to the terminus electron. The thermionic electron contracts, pulling the electron, the cathode ray stretching, pulled by the electron. In the former case the lines of force are dissipated, in the latter case the line of force are projected, both cases the electrons assume ray like motion, with non participating lines of force filling the voids, directing the electrons. Hence, it is the electrons travel in straight lines, that is, rays. These facts have been known from the initial invention of the “Vacuum Tube” by Sir William Crookes, leading to the extensive experimental work into atomic science by J. J. Thompson, and Nikola Tesla. It is here seen that the so-called electron is only a shadow, its apparent physical mass is only an electrical momentum. There is no rest mass to an electron. It is given here the electron is no more than a broken loose “hold fast” under the grip of the tensions within the dielectric lines of force. They are the broken ends of the split in half package of spaghetti. Obviously this reasoning is not welcome in the realm of Einstein’s Theory of Relativity. Are we to believe that Einstein had no prior knowledge of the most prominent theoretical and experimental work of his time? Continuing from “Relativity” by Albert Einstein, page 51. “The second class of facts to which we have alluded has a reference to the question whether or not the motion of the Earth in space can be made perceptible in terrestrial experiments.”…”All attempts of this nature led to a negative result.” Einstein’s Relativity leads to the conclusion that no point of reference in the Galilean sense can actually exist, that is, all points of reference are relative to each other. This relativity is in a Lorentz transform rather that a Galilean Transform. No absolute reference possible, it is everything is relative. This is tantamount to the denial of the existence of God. Forgotten is that relativity did not find favor in its day, for this very reason, it is atheistic. Like Existentialism, or Cubism, Relativism represents a most destructive philosophical construct by which to afflict modern man. The destructive philosophical forces flowered as the “Third Reich”. The monophasic dielectric forces developed thru the work of Nikola Tesla nullify relativistic relations. Tesla, thru a unique space-time hysteresis electrically “grounded” to a zero order Galilean coordinate system. It is also the cathode ray projector tubes utilized by Tesla in his atomic studies also nullify relativistic relations. Tesla’s remarks about “radiant matter” indicate the existence of cosmic rays of immense penetrating power moving fifty (50) times faster than the velocity of light (Le Sage particles). Here Albert Einstein is in direct contradiction with the experimental researches of Nikola Tesla, and in complete ignorance of the experimental researches of J. J. Thompson. Einstein “layed his egg” in the “nest of Faraday”. From here it is that “Theoretical Physics” is henceforth divorced from “Electrical Science”. In turn Theoretical Physics made a “Wh*re” of Maxwell, the “offspring” of Faraday. Recently, in the “Los Angeles Times” newspaper, a series of page long editorials were given on Einstein, this as “Damage Control” over the European C.E.R.N. superluminal particle experiments. The L.A . Times is harsh, stating that C.E.R.N. was irresponsible, and must ask for permission to publish such findings! Later editorial writings express Einstein as the supreme authority, the spiritual master, etc. Well, after all, He pushed to make an E equals mc squared bomb to effect the genocide of the German People. A real holy man, don’t you think? In epilogue, when Albert Einstein came to America, amid the accolades, and the fanfare, he was naturally introduced to T. A. Edison, the “Axle grease and timbers” all American Scientist-Inventor. The “coyote like” Edison cunningly produced one of his company intelligence tests for Einstein to complete. Einstein did not do so good on Edison’s company examination, he did not know the speed of sound! Is it possible here that Einstein is just another version of Marconi, both in defiance to Tesla. Finally, January 1, 200 A Time Magazine cover declares Albert Einstein the “Man of the Century”. We verily have been duped! So here we stand. We have penetrated the Giant One Winged Parrot. While the multitudes have been quivering at the feet of this awesome idol, the Poodle went around to the rear of it, revealing no more than a diminutive circus operator at a small control panel. This formidable idol is no more than a giant CIRCUS PROP! Now can we go back to Kansas?